Google Drive is a widely used cloud storage and synchronization tool. Since 2012, this respective service has helped many individuals and businesses across the globe in storing their files securely and conveniently. As of today, Google Drive offers plenty of handy features that can increase your productivity big time. Despite all those excellent features, if you are looking for a Google Drive alternative due to some reason or another, this article is just for you. Just like any other service, Google Drive can also experience some issues at least occasionally. Well, let’s get to know the reasons that make Google Drive down. In fact, there can be several common reasons that make Google Drive down. In most of the cases, Google Drive can go offline due to a server issue. If, by any chance, Google Drive’s servers are down, you have nothing to do with that. You should wait until it is fixed. To make sure if there is something wrong with it, you should just Google it. You can perform a search using a query like “Is Google Drive down?”. Also, it can be down if the storage is full or when a new update is taking place. Now you know the reasons behind this situation, let’s see how to fix them for the good. In fact, there are several options to consider to fix Google Drive down. As the most basic but essential step, check if the respective device has a good internet connection. To do this, you can simply open a browser and open any website in it. If the website loads smoothly, there’s nothing wrong with the internet connection. If the connection is fine, you should check if your browser is updated to the latest version. If not, you should update it and check if Google Drive works. That is because, Google Drive has some basic requirements to operate. You can check the details through this link. Google Drive has some limitations when uploading files to it. For instance, you cannot upload documents that exceed 50MB. Also, you should check if you have already exceeded the allocated storage limit. To check this, you should see the bottom left of the screen after logging into your Google Drive account. If it is already exceeded, you will have to upgrade the storage (by clicking on the “Upgrade storage” button). Google may prevent you from accessing its Drive if you have violated their terms and conditions. Step 1. Go to Google Drive’s Help and select the option called “Privacy, Policies and Offers”. Step 2. Select “Google Drive Terms of Service” from the list. Step 3. If there is a violation, you may ask for a review of your ban. You can do it through their Help page itself. Now you know the reasons for Google Drive to be down, it would be handy to know a good alternative to it. In this section, we will explain the best Google Drive alternative you can rely on. 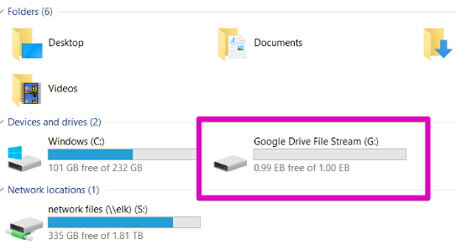 Instead of the Google Drive you have got used to, you can try Drive File Stream. However, this is not from a different vendor. 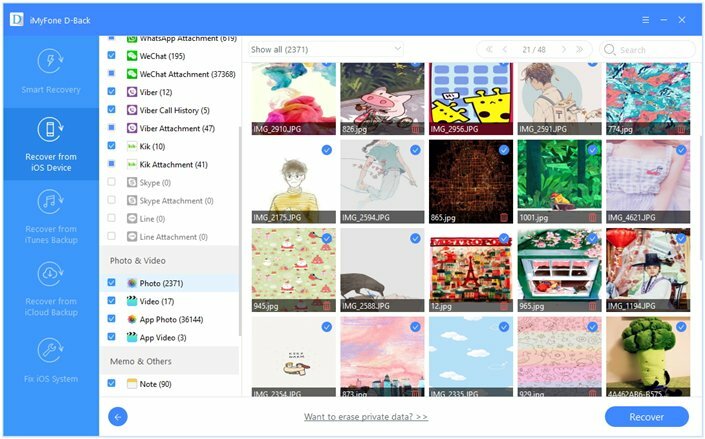 Drive File Stream is an upgraded and improved version of Google Drive. When you use this Google Drive alternative, you should determine whether you are a business user or a consumer user. This new tool comes with better storage improvements and bandwidth. It works on both Windows and Mac. Nevertheless, Windows users find this new drive as a Mounted Drive in My Computer. Mac users can identify this Drive File under Devices. If you are a consumer user (who uses free products like Drive, Gmail etc. ), you can download Google Backup and Sync instead. This option lets you access files and photos from multiple devices. 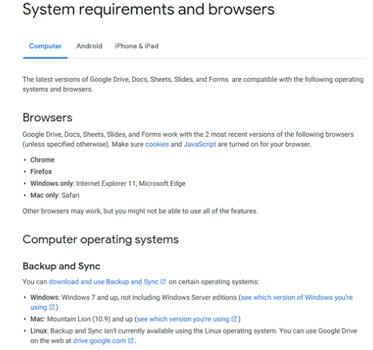 Google Backup and Sync works on both Mac and Windows computers. Nevertheless, the mobile apps will remain as they were. The changes have taken place on desktop apps only. There are are also some Google Drive for iOS users, so if you are looking for a totally different Google Drive alternative, you can consider iMyFone D-Back. It is a tool that is basically developed to save data from your iOS devices and backups. This is a really powerful tool that comes with a lot of features. The powerful algorithm integrated with this tool can save both deleted and existing data on iOS devices. It supports all iOS versions including the latest iOS 12/11 and all iOS devices. 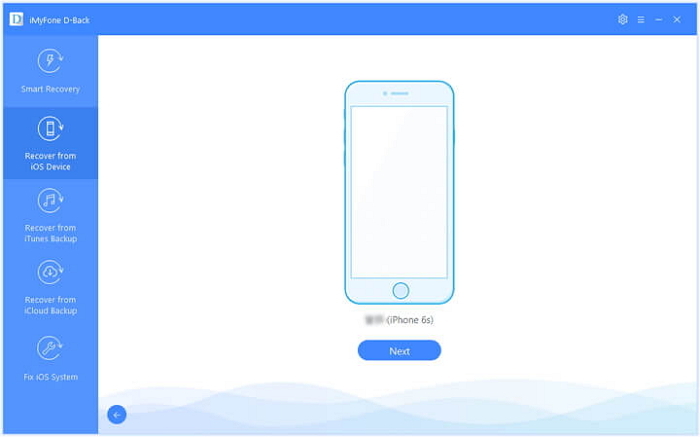 It can synchronize your iOS device with a computer very conveniently, including deleted data. Convenient user interface that can be used even by a novice. If you see that Google Drive is down and you still need to create a backup of your iPhone data, you can use iMyFone D-Back to do it. Such approach would help protecting your data even if something bad has happened to your iOS device. More importantly, this tool can backup even the data you have already lost. So, having a tool like iMyFone D-Back is exceptionally handy for any iPhone user. Here’s how to sync your iPhone data with the computer directly using this handy tool and secure your data. 1. Firstly, you should download and install D-Back on your computer. Launch the program and click on Start under Recover from iOS Device option. Now, connect the device into the same computer and let the program detects the device. Press Next to move on. 2. After selecting the type of the files that need to be recovered and synchronized, click on “Scan”. It will scan the related data. 3. Then you can now see a list of recoverable files. You can either check all the files or preview just the deleted files (by selecting “Show only the deleted files”). Select the files that needs to be recovered and click on “Recover”. Choose a destination in your computer to store the recovered files. 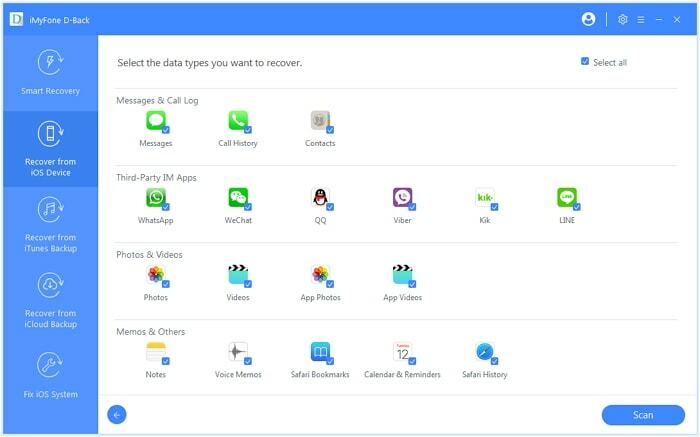 iMyFone D-Back can easily synchronize data from iTunes or iCloud backups without any restoration. Apart from that, it can be used to recover data from backups without restoring. You can go through the options we have mentioned above and choose the most appropriate option depending on your situation. We highly appreciate if you can share your thoughts on how it goes with the method you have tried. Your comments are precious for us.